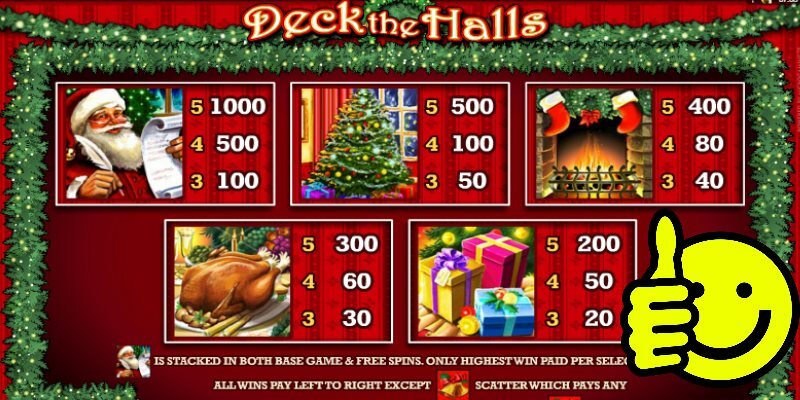 Play a Free Christmas style Pokies Game - Deck the Halls. This is an online pokie game that brings the classic Christmas spirit to punters. This is a festive-themed slot game that features wonderful Christmas carols & season-related graphics. This game also features a sheer variety of Christmas related imagery, for example, Christmas Trees, a Baked Turkey, Gifts, Santa, Reindeer, a Fireplace, Christmas Lighting, Stockings, and much more too. This pokie game offers a great pay line structure by featuring 30 separate pay lines. This slot game features a huge betting range where the player can place a minimum bet with a wager of 0.01 coins. Also, you are even allowed to place the maximum wager with an amount of 15 coins. The basic game rules are quite simple and straight forward. Here, the payouts are calculated in coins. The players are required to place a wager prior starting any game play. The wager can be adjusted from the primary game interface. After placing the preferred bet, you can hit the Spin button to explore the game play. 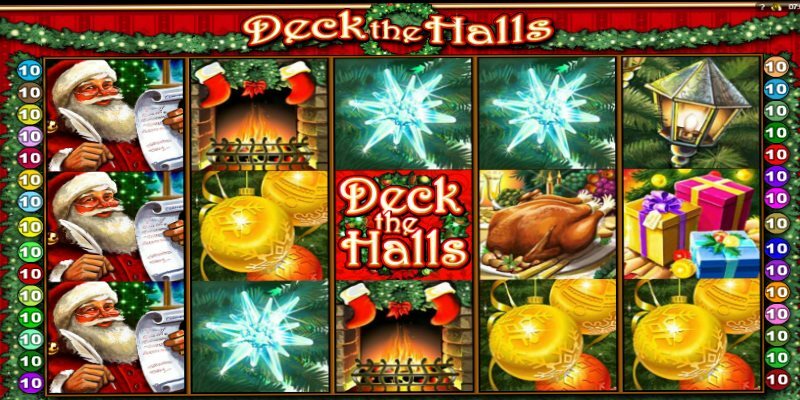 Wild Symbol: The logo of Deck the Halls is the wild icon of this slot game. It can substitute all other basic symbols on the reels only except the scatters. Plus, if this symbol substitutes a win, that win will be doubled! Scatter Symbol: The Christmas Bell is the scatter icon of this slot game. This potent icon triggers the bonus feature. The bonus feature is activated by three or more scattered Christmas Bell symbols. Thus, the players will win a total of 10 free spins. 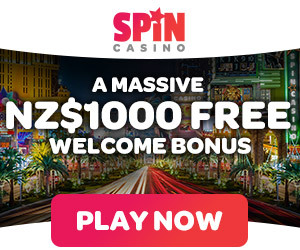 Here to note, all the free spin wins are literally doubled. Plus, during the bonus feature, the wild symbol creates a stack of wilds. This stack of wilds not only increases your chances of winning, but also these symbols offer you an increased payout. For example, with this stack of wilds, your wins will be multiplied by a 4x multiplier. Note, the bonus feature can be re-triggered again during this feature. This slot game is mainly famous for its rewarding payout structure. The wild icon – the logo of Deck the Halls offers the highest payout. Five such icons will offer you 4,000 coins. Santa: Being the second top-paying symbols, five such icons will offer you 1,000 coins. Christmas Tree: Five such icons will award you 500 coins. Stocking: Five such icons will offer you 400 coins. Chook: Five such icons will present you 300 coins. Gift Wraps: Five such icons will offer you 200 coins. Star-shaped Light: Five such icons will grant you 80 coins. Deer: Five such icons will offer you 70 coins. Lantern: Five such icons will award you 50 coins. Pineapple: Five such icons will present you 30 coins. Offering a rewarding payout structure, festival theme, interesting game icons, and an exciting game play, “Deck the Halls” features to be a unique online pokie game in its category. If you’re ready to enjoy the Christmas festival in a fun & engaging way, then don’t forget to play this slot game free from our site. If you can’t get to your local Aussie club to play your favourite Aristocrat pokies machine over the XMAS holidays then this game is for you! Google + Profile: Tina Lim on December 15, 2016.